Firestarters Productions Inc. | AMPALAYA PARTEE! UNBITTER. ON FLEEK. 07 Dec AMPALAYA PARTEE! UNBITTER. ON FLEEK. 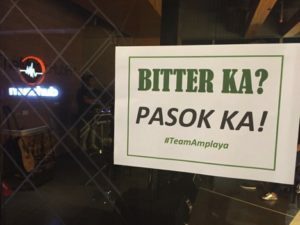 AMPALAYA PARTEE! UNBITTER AND ON FLEEK! It seemed like an ordinary Saturday night but you know something extra-special has happened when artists and celebrities came together to celebrate the fast-rising art form of spoken word and monologues in the country. 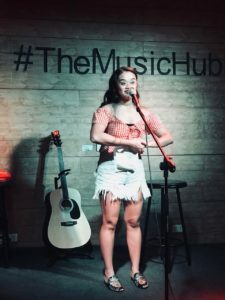 It was like a congregation of broken-hearted souls and hopeless romantic renegades when the makers of the Ampalaya Monologues and Firestarters Productions organized a year-end “Ampalaya Partee” last Saturday, December 2, 2017 at The Music Hub in Quezon City together with artists and celebrities from the boobtube, stage and social media. The night was opened by the Ampalaya king himself Mark Ghosn followed by heart-felt song performances by singer RJ Agustin and Nisha Bedana. 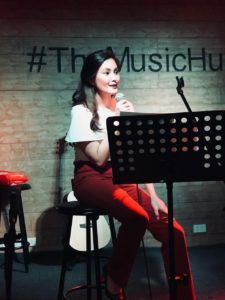 But what really amplified the mood were the spoken word pieces inspired by stories of heartbreak done by special celebrity guests and personalities including primetime TV actor and comedian Jerald Napoles, Kapuso star Jade Lopez, internet “hugot” sensation Kat Galang, and Kapuso premiere comedienne Divine Aucina. 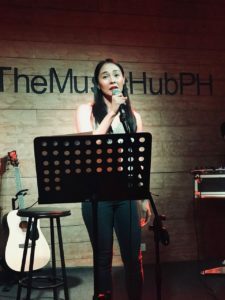 Actress, rapper, host and comedian, Nicki B, started out with a lively, and emotional piece called “Hanash ng Soloista”, that relays the story of a single woman with a best friend who is always in need of saving from her relationship. 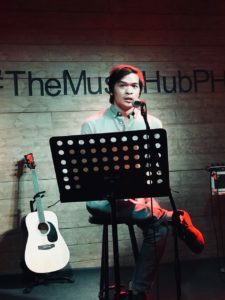 Victor Medina, youngest son of Pen Medina proved that acting is really in his blood as he reads a sublime but agonizing piece called, “Ang Huling Tagay na Ilalaklak ko Para Sa’yo”, which shows how turning a blind-eye is never good for anyone in a relationship. Dancer-turned-comedienne Lovely Abella of GMA’s Sunday Pinasaya did a piece entitled, “No Feelter”, pointing out how some are willing to change their whole personality just for a chance at love. Adding her Ilonga accent in the material painted another colourful layer into the character’s story. Para makahanap ng pag-ibig. Kapag balat, dapat puti. Kapag buhok, dapat tuwid. Kapag damit, hindi pwedeng tipid. Kaya’t nagpaalam ako sa aking balat, buhok ay pinaunat, ang mga damit ay hindi na binarat, sa pag-asang mahahanap ko rin ang pag-ibig na tapat. ‘Tassel Girl’ also known as Kat Galang, who became an internet sensation because of her viral “Stupid Love” videos on Youtube, read a painful monologue called “EFF OH”, which relayed the story of being betrayed by a close friend. 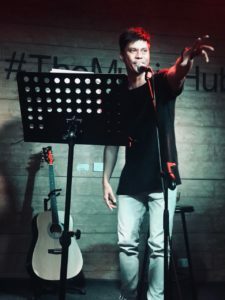 Kapuso Primetime Star, Jerald Napoles, who is known to play comic roles in film, TV and commercials gave a standing ovation performance with an unconventional heart-wrenching excerpt entitled, “Hindi Pwedeng Hindi Na”. It’s about a man who is not free to be his true self just to keep his relationship with another man. He couldn’t take it anymore, he unleashed his inner diva. You can’t just break up with me because you realize na “you’re not like this”. Ano? Gumising ka na lang isang araw and suddenly straight ka na? Saan napunta kabaklaan mo? 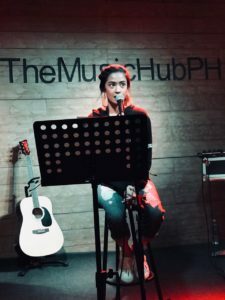 Film, theatre and television actress and comedienne, Divine Aucina swept everyone away with an astounding performance, “Hanggang Throwback na Lang”, which was about girl falling really hard for boy who is into boys. As the night was filled with gratifying words on being unloved with spoken word, monologues, wine, music and more wine, sulking in bitterness has never been this good!